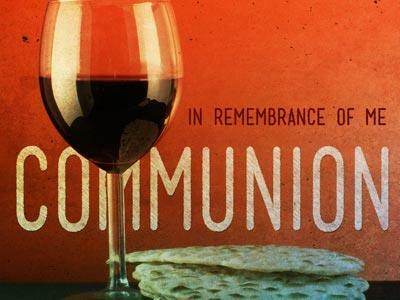 Summary: Communion or Lord's Supper message. Reminds us to refresh our relationship with the Lord and fellowship with Him. This is a solemn ceremony that was instituted by the Lord Himself to his disciples. It was only a select group that were very close to Him that it was given initially to. However it is one of two ordinances given to the first church to perform and both of them cause us to remember Him and His work on our behalf for salvation. The other, of course, being baptism. The Lord had an understanding of people that was insightful to say the least. He knew how forgetful we are and how little things that are seemingly meaningless can distract us and pull our loyalty from one subject to another. We criticize Peter because he denied the Lord but we find ourselves sometimes like him. He promised he would stand by the Lord even if it meant death. That promise was made hours before he stood afar off and denied the Lord three times. Upon encountering Peter later the Lord reminded him of that account by asking him three times …. Lovest thou me? Lovest thou me? Lovest thou me? Often in scripture we find the Lord Jesus repeating Himself to make a point or to emphasize his point. He often said, “Verily, verily, I say unto you.” It was if He was saying, “What I am about to say is important, so listen closely so you won’t forget.” That teaching technique has been adopted my modern day teachers and used to instill in someone a principle or point so as not to forget. Psychologists say if a phrase is repeated at least 20 times it sticks in your mind and makes an indelible mark in your memory. Our modern advertising agencies understand that philosophy and use it to great success in promoting goods and services on our television screens, newspapers, radios, magazines, computers and mail-outs. This ordinance was given to the first church and passed down from church to church for a reason… the reason being to remember the body of Christ that was broken for us, the suffering He endured on the cruel cross and the shame He encountered as He hung there that day, paying the price for our sin. 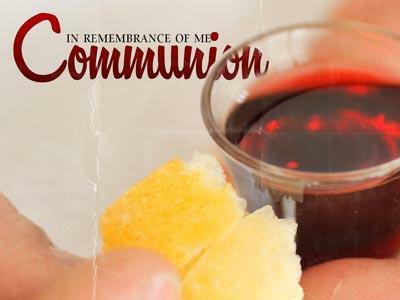 It was also given to remember the blood that was shed to purchase our souls and wash them white as snow so as to present them to the father, without spot or blemish. Between the husband and bride there may be times of one taking the other for granted and becoming distant from each other. That won’t happen on the Lord’s part as our groom but it happens on the bride’s side and that’s us. So a reminder is given to help us remember how much He loved us. The repeating of this phrase three times should cause the same kind of reaction from us as it did from Peter when the Lord ask if He still loved Him. With Peter he was broken hearted over his sin and repented which allowed the Lord to use him in a marvelous way to reach so many lost souls for Christ. That the Lord would have to use the phrase to remind us at all is shocking and convicting to us. How could we allow anything to come between us and our gracious Lord who loved us so that He bled and died for us? Listen as I read for your hearing to three passages where this phrase if found in scripture. Is your relationship with the Lord lacking? …. Has anything come between you and God that would hinder your fellowship? Is your union with Him as fresh as the day you first received it? I want to give you a moment in prayer to speak with the Master and allow Him to re-establish that bond as it once was…. Or to accept Him as your Savior for the very first time. Then we can proceed with the taking of the elements, based on His worthiness and not ours. 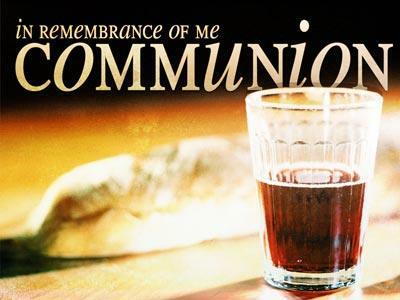 Communion or Lord's Supper message. Reminds us to refresh our relationship with the Lord and fellowship with Him.